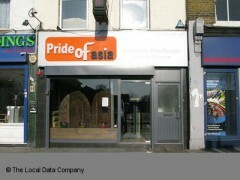 About: Pride Of Asia serve a variety of Asian dishes at their restaurant. I went to a wedding on the 4th September at Lakeview Marquee with around 1000 people there. I had high expectations as I constantly hear comments about Pride of Asia's decor and food. All through the night I heard positive comments on the decorations. Also, the lamb curry was to die for; I loved it. The lamb chop was bursting with flavour. The canopy was very unique, I never had anything like it before. Although, to nitpick, the service could have been faster. But all in all, the night was spectacular as I watched my close friends tie the knot and I found a new place to dine. Pride of Asia is one of the most exquisite restaurants i have ever been to. The manager and staff were kind and friendly and the food was Meticulous. I strongly recommend this restaurant for family outing ,romantic meal or even a business meeting.